"You want mercy? Play by the rules." Lionsgate has revealed the first trailer for the next Saw movie, titled simply Jigsaw, referring to the original mastermind behind all the deadly traps and torture. Even though he supposedly died in one of the earlier movies, this title and the new trailer makes me wonder if Jigsaw (played by Tobin Bell) is somehow back from the dead. The cast this time includes Laura Vandervoort, Callum Keith Rennie, Matt Passmore, Hannah Emily Anderson, Brittany Allen, and others. Even though we already had a 3D Saw recently, this one is supposedly taking Jigaw's "signature brand of twisted scenarios to the next level." This didn't look so bad until the lasers on the head trap, then I rolled my eyes. Bodies are turning up around the city, each having met a uniquely gruesome demise. As the investigation proceeds, evidence points to one man: John Kramer. But how can this be? The man known as Jigsaw has been dead for over a decade. 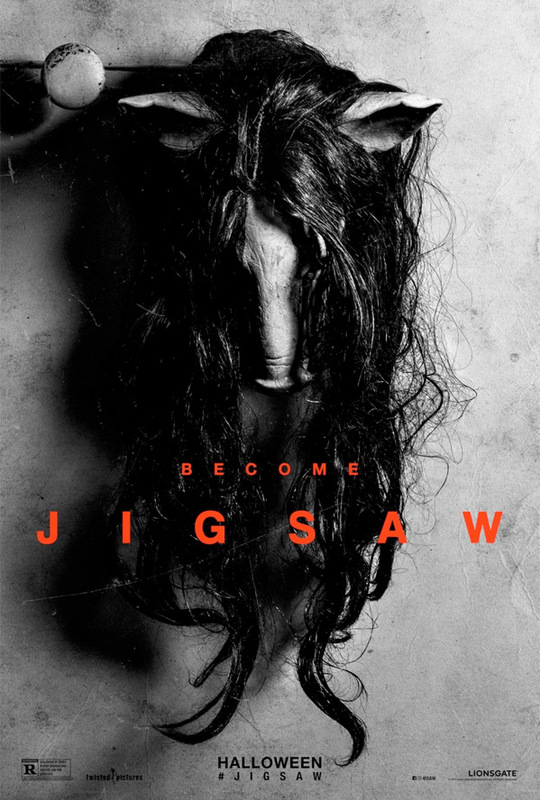 Jigsaw is directed by German filmmaking brothers Michael Spierig & Peter Spierig, of the films Undead, Daybreakers, and Predestination previously. The screenplay is written by Pete Goldfinger and Josh Stolberg; based on the series originally created by James Wan and Leigh Whannell (the first Saw film premiered at Sundance in 2004). Lionsgate will release the Spierig Brothers' Jigsaw in theaters everywhere starting on October 27th this fall, just in time for Halloween. Who's ready for more?